My home . . . in jeopardy? 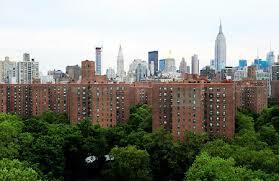 Stuyvesant Town is my home. It is a haven in the big city. But something nefarious has been seeping into my oasis: Big Business. 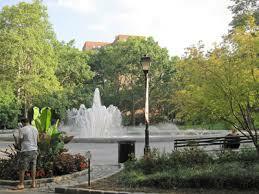 Stuyvesant Town was built for the middle and working-class. The first tenants were soldiers returning home, nurses, firefighters, police officers, families. For most of its history, Stuyvesant Town kept a list for potential residents. One had to qualify by falling into a certain income level – not too low, not too high – just to get on this list. When your name came up, it was like winning the lottery. After our first baby was born, we could not afford to stay in Manhattan, so we moved to Westchester County. I pined for my beloved gritty streets, the convenience of walking everywhere, the cultural diversity. I moved to New York from North Carolina with dreams of raising little urbanites. The day we got the call that our name came up on the list, I danced the ultimate happy dance. The ten months in the “burbs” confirmed my desire, my need to be in the Manhattan. With our ten-month-old daughter, Rob and I set up home. The playgrounds, particularly Playground Twelve is where I forged deep friendships and made acquaintances. The laundry room is where Mrs. O’Connell watched Phoebe and Chloe grow. She would share stories of being one of the original tenants as we slipped quarters into the washers and dimes into the dryers. I lost weight, making laps around the oval with Gina and Louise. We also swapped stories and consoled each other through life’s ups and downs. We discussed the controversy of opening up the lawn for people to walk on. Yes, we lived here, when the oval was fenced off and only maintenance workers dared step upon the green. We watched families grow, and we watched some families move away. The grounds of Stuyvesant Town are where my children learned to ride scooters and bikes, to run on asphalt through sprinklers on sticky summer days and to build snowmen on snowy winter days. Our family grew here. When we discovered, we were having a third child, Rob and I switched rooms, gave the kids the larger bedroom. Two daughters and a son sharing a room work to a certain point. But the suburbs are not an option. We have deep roots here. We noticed that through various transitions, Stuyvesant Town tried to compete with the ever-growing luxury housing. Shifting and murky laws made it so that our middle class oasis was morphing into a temporary crash pad. I actually heard a rep for Stuyvesant Town showing a prospective renter say, “this is a good place when you’re single before you have kids and move to the suburbs.” My jaw dropped. This is a place for families. Where you can walk to work or take public transportation. No long commutes. A couple of bookshelves gave privacy to our oldest. But she needed more. Rob hung a door between two of them. Light spilled over the shelves but no little brother could play peeping tom. During an inspection in late September, I was told verbally that the shelves and door were fine. They were less structural than the walls Stuyvesant Town puts up to chop up the apartments for NYU students and new, young residents. A few weeks after our inspection, we found a letter slipped under our door stating that we were in violation of our lease. They said our options were to 1) Terminate the lease and move (giving them the chance to cosmetically renovate and dramatically increase the rent) or 2) Rectify the violation. We removed the door and had a certified architect inspect the room to confirm we are in legal rights of our lease. We photographed this, copied it and sent all of this to Stuyvesant Town management via an attorney. We never heard from Stuyvesant Town Management until Monday December 16th where during dinner, a loud knock jolted us. Our buzzer had not been rung. Our eight-year-old son and I answered the door. 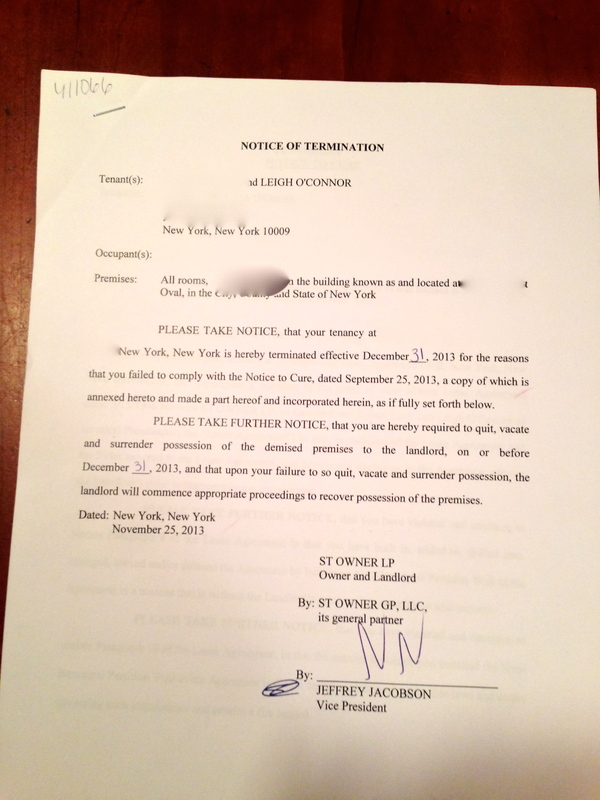 A stranger called out my name, handed me a package of paper, which included a lease termination for December 31st. This Notice of Termination was dated November 25, 2013. Where was it all this time? Today copies of this letter came via USPS certified as well as in my mailbox. We have contacted the ST Tenants Association, Garodnick’s office and various attorneys. We have been assured that we cannot be kicked out of our home of nearly two decades. Still, the stress of having to be faced with this menacing behavior, particularly during the holidays is unconscionable. I have not slept well this week. I am spending time away from my children, my clients, last minute Christmas shopping and preparation. The spaces of my mind are preoccupied with this bullying. I know the original developers of Stuyvesant Town never had this intention. This was created as a sanctuary in the big city, a place to call home, to raise children, to walk to the butcher, the baker, the sandwich maker. I hope that our new mayor will push for affordable housing for the middle class. I hope that whomever is in charge of Stuyvesant Town and Peter Cooper Village find a soul and some sense of humanity and stop harassing long time tenants. Leigh Anne, It’s completely wrong that you should have to deal with this intrusion into your life, esp. during the holidays. But, when you’re getting down about this battle, which I’m convinced you’ll win, think about another: writing. That is a struggle (for all writers, of course) that you are clearly winning. Your work is blossoming! I think you need to get this out to the media. I wish I knew the most suitable site. 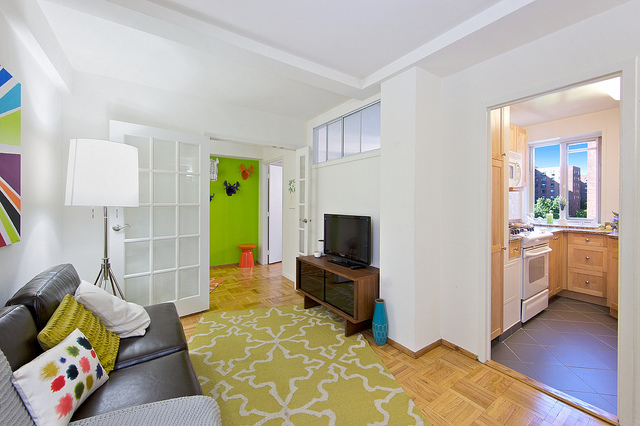 A couple of ideas: wnyc.org and Huffpo has an NYC real estate page. (Maybe those are too broad…) It’s great that you have your story written up so succinctly. That must bring some solace. Keep us posted and good luck! Let me see if I can contact someone at NY One.. This is a nightmare story.! What?? That’s like any other private landlord in the city. I’ve had several friends suffer numerous attacks by their landlords in efforts to drive them out and increase the rent. But I thought Stuy Town was supposed to be a whole separate thing. (I was always a bit jealous of all you guys there, by the way…) Can they even do that? I hope, not only for your sake (obviously), but for the sake of thousands of other people in the city, that you prevail, and let the hipsters infest and finish destroying the Lower East Side. You were smart to take pictures, and always cc every email to anyone even remotely connected with the issue. And when the reply only to you (like those kinds of scumbags usually do, to try and duck and dodge scrutiny), just keeping cc’ing. Dot the i’s and cross the t’s and remain unimpeachable, and you will win, and NYC will be better off for it. Leigh Anne, I’m a reporter for the NY Times and I would love to speak with you more about this. Can you email me when you have a moment? Thanks so much and I’m so sorry. Sounds like a terrible story. Leigh Anne, I’m following this story over on FB. I hope you guys are dealing with the stress of it all okay. I love living here but hate hearing stories like yours. Fingers crossed for you! !